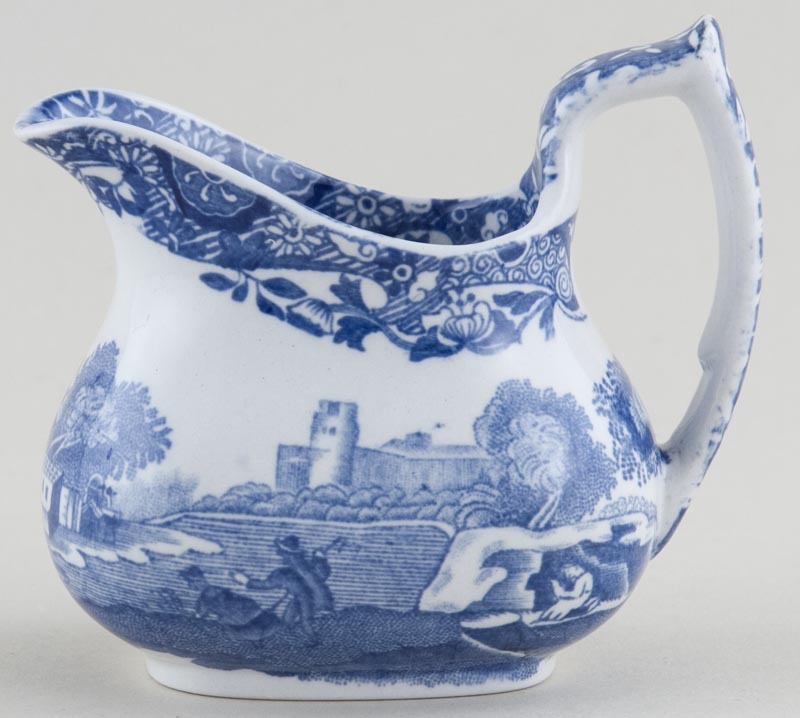 Delightful little Cottage shape jug. Backstamp: Copeland Spode's Italian England. A little minor blue smudging and underneath some wear and discolouration.